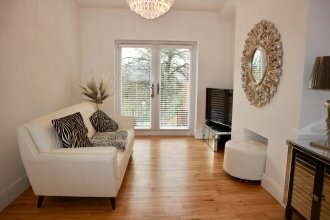 A large family home recently renovated, well presented and fitted to a high standard throughout. 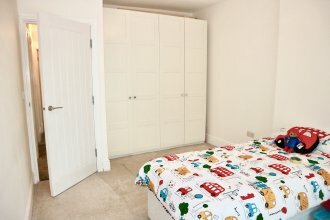 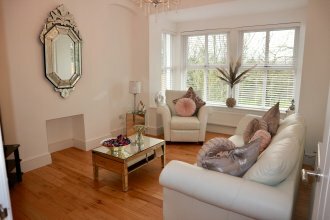 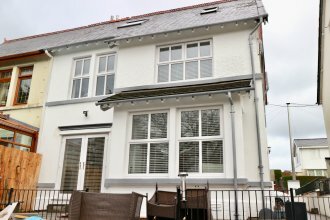 The property offers spacious and light accommodation from the good sized rooms and high ceilings, there are 4 double bedrooms plus an en-suite in the attic room. 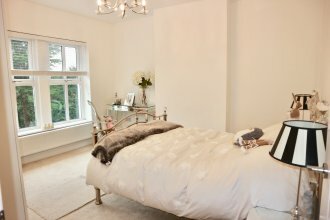 This pleasant location overlooks Thomastown Park with local amenities and popular schools close by. 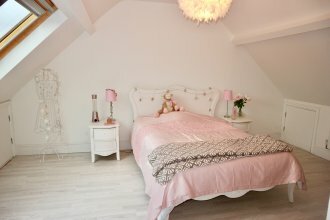 We recommend viewing on this home! 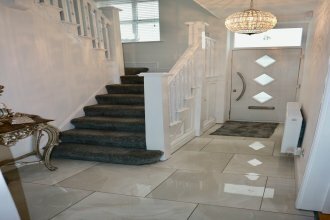 Composite entrance door, porcelain tiled floor, carpeted staircase. 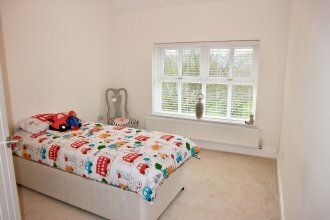 Feature bay window with fitted blinds, wood flooring. 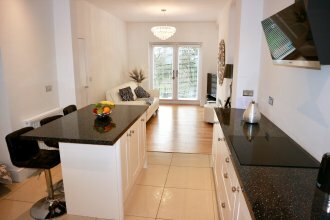 Modern fitted units with island breakfast bar, electric oven & hob, cooker extractor hood, integrated microwave, dishwasher, washing machine, recessed spot lights, porcelain tiled flooring/part wood flooring, UPVC double glazed French doors to garden. 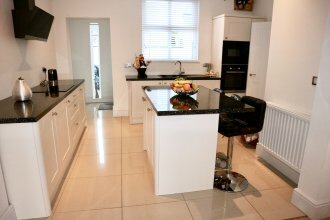 Fitted base units, integrated fridge/freezer, stainless steel sink unit, wall mounted boiler. 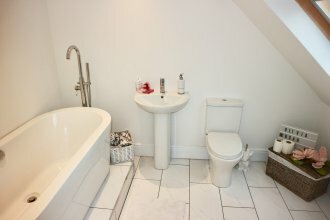 White suite with wash hand basin. 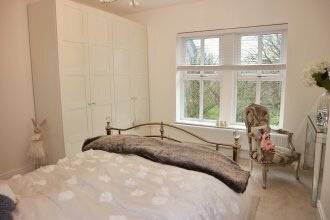 Carpeted floor, fitted wardrobes, blinds. 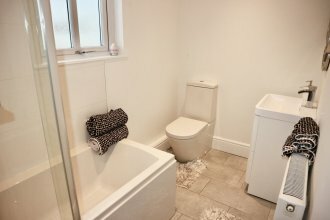 Modern white suite, tiled floor, shower bath with screen, mains shower, vanity unit, part tiled walls. 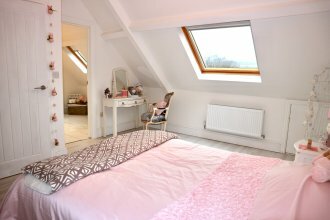 Large Velux window, laminate floor to bedroom. 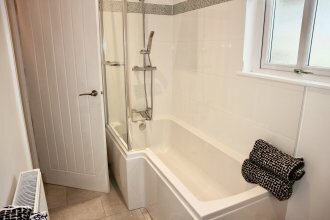 En suite with white suite, mixer shower unit to bath, tiled floor, Velux window. 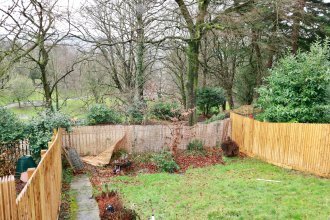 Rear yard entrance, side pathway, garden with lawned area—overlooking to park. 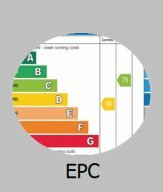 Note the Central heating, services & appliances are not tested by this office.